In the recent past, we were opportune to create a number of websites across a variety of industries. Some of which were, Cybersecurity, Natural Skincare, and Fast Moving Consumer Goods, specifically the juices segment. 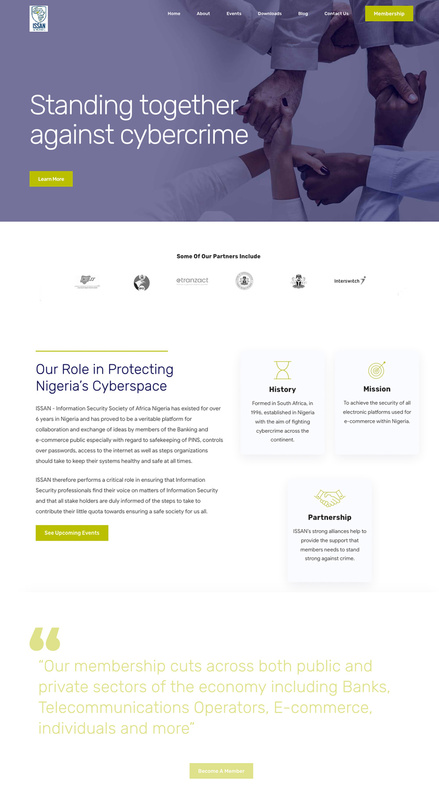 The first, ISSAN, is a cybersecurity organization. They needed to redesign their website, to let people know what they did, show their clout and credibility and gain the trust of potential audiences. In building the ISSAN website, our strategy was based on the fact that decisions customers make are majorly emotional. Knowing that informed our decision to use a combination of words, and imagery to inform potential audiences of the value ISSAN provided. We also pulled quotes right from our interview with members of the team, so the language was relatable and real. 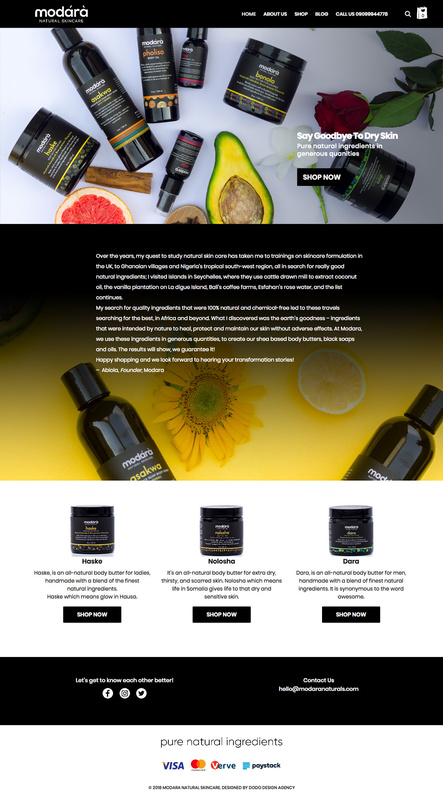 Modara Naturals skincare also had a niche demographic, to reach this quality-driven group, we art-directed emotionally charged product pictures to attract and speak to the demographics of women the site was targeting. Lastly, we created a website concept for the House of Chi Juices brands, to engage with the wide demographic of Nigerians that enjoyed the juices. The strategy behind the concept was to drive growth using digital channels, using the online engagement to increase brand awareness and drive offline purchases. Drive customer engagement online and offline channels.